Kellex was finally able to go hands-on with the new Galaxy S4, and what better thing to do with the device, than to compare it to last year’s models. 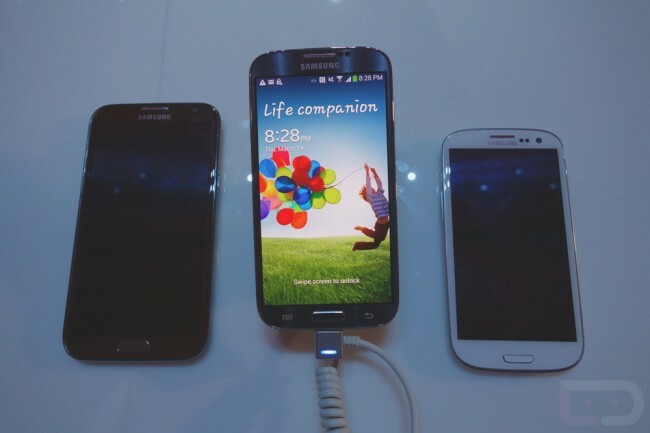 In this short video, we put the Galaxy S3 and Galaxy Note 2 right next to the brand new Galaxy S4 for a real size comparison. To sum it up in words, Samsung did an amazing job at making the S4 feel smaller in hand, but bring an even bigger display to the table than the S3. It’s pretty remarkable.